Who Should Use the Gut Repair Kit? 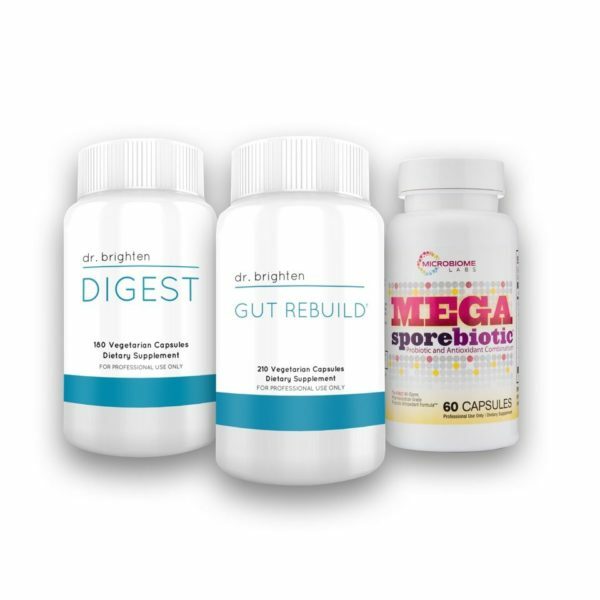 The Gut Repair Kit by Dr. Brighten was designed within her clinical practice for women with struggling with digestive issues like gas, bloating, constipation, diarrhea, food sensitivities, leaky gut, or having difficulty with yeast, SIBO, and gut dysbiosis. 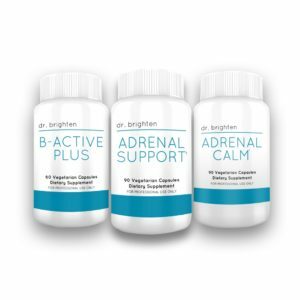 If you're on hormonal birth control, thinking about coming off, or have already ditched them for good and having digestive issues, this supplement protocol can help. What's in the Gut Repair Kit? Gut Rebuild offers comprehensive support for optimum gastrointestinal health and function. The lining of the gut must have proper permeability and integrity so it can not only absorb nutrients, but also prevent toxins, allergens and microbes from gaining access to the blood stream. Maintaining gut health is the key to maintaining overall wellness. When starting spore-based probiotics, consider taking a half a cap each day for seven days. After seven days, increase your dose to one cap daily for 14 days. After 14 days at 1 cap daily, increase to one cap twice daily. Typical Dose: 3 caps twice in the morning, 4 caps in the evening. Take with meals. Typical Dose: 1-2 caps with meals. So whatcha waiting for? For less than a latte a day you can, ditch those period problems and get to the next level with your hormones! I feel so much better taking these supplements. I recommend this. 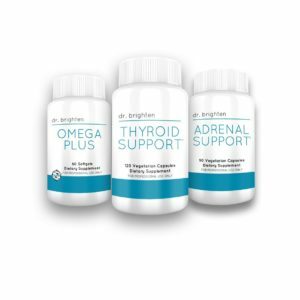 Definitely the supplements that have helped me the most. I was skeptical anything would help because I’ve been sick for so long with my gut. It worked. It really did work! I started this because I was in the birth control program. I had so many digestive problems being on birth control. I couldn’t eat anything without bloating and my doctor told me I’d just have to stay on antibiotics ongoing. I used the Gut Clear supplement for a month along with this kit and then the bloating stopped. I read that it is good to stay with these kind of supplements for awhile. I decided to use the kit for just over 3 months. I am finally happy to report that I am so much better after this and my skin improved a lot! 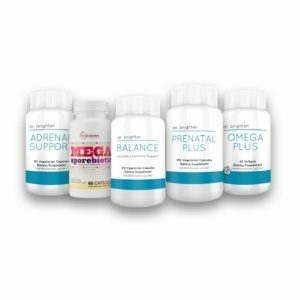 I would recommend this kit and the birth control hormone program because those really helped and I finally feel confident enough to take care of my body. This was the only thing that has helped me. 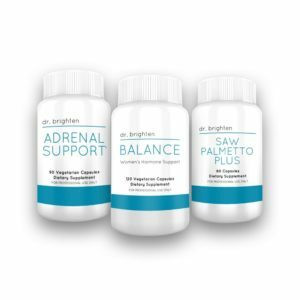 I trust Dr. Brighten’s products and use her Balance. When I learned she had stuff that could help my digestion I decided to try it. I’m so glad I did! Very helpful. I feel so much better. Thank you.